Hi Guys! 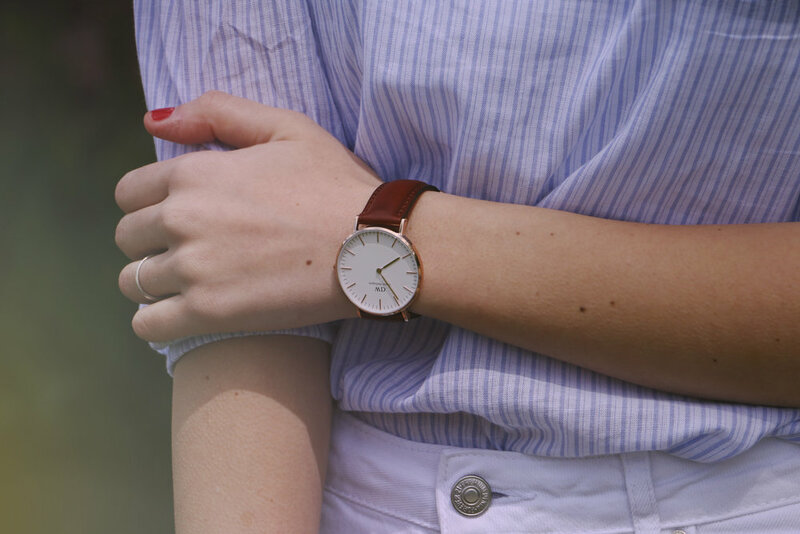 I'm so excited to tell you that I've collaborated with Daniel Wellington and am able to give you a coupon code so that you can get any watch from their website at 15% off! This watch is the perfect watch for any occasion and I promise I'm not just saying that. It is very elegant and can be worn with a nice dress for a night out or perfect for a stroll with your dog as you can see in my photos. And, Moj says that its a keeper! If you are interested you can click right here: Daniel Wellington : and be sent to their website to check out all of their watches. You can enter "MOJANDME" for 15% off of your final order. If you find one that you love please make sure to tag me on Instagram so that I can see which you picked out! On another note, I've got an awesome pre summer outfit that any of you can wear to go take any final or just before the weather decides to hit he 90's. 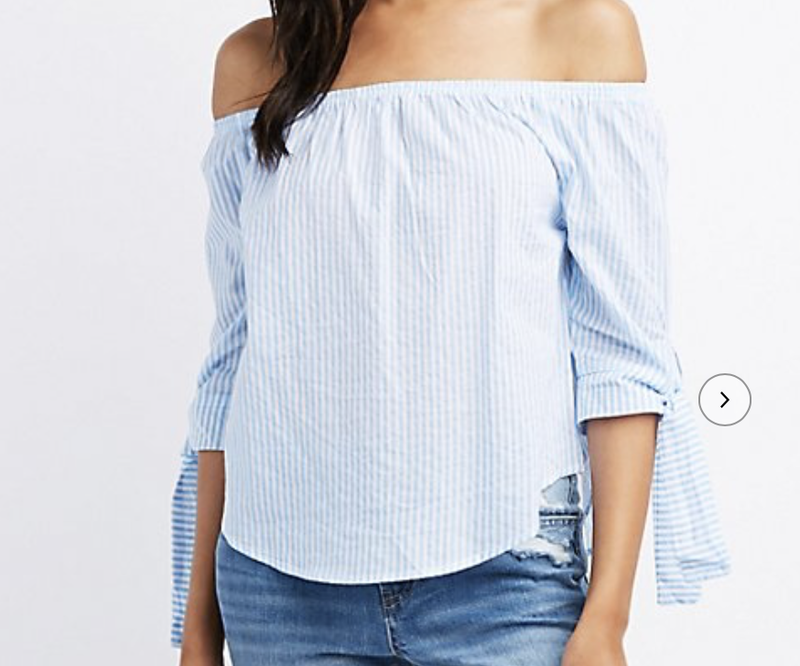 I've always been a fan of frilly tops but this off the shoulder one I picked up at Marshall's is definitely a new favorite. I paired it with these amazing mom jeans from Forever 21. They are seriously the best quality jean I own...well I only own a few pairs because I usually live in leggings but, they are the best from the collection that I have. I'm all for a great mom jean that fits perfectly and is comfortable for all day wear. Make sure to check out the photos below and let me know if you're interested in seeing something specific on the blog. Mojo and I have been busy making travel plans for the summer so get ready to see lots of flying! I can t wait to share the locations with you guys! You can shop my look below as usual. See ya next time!